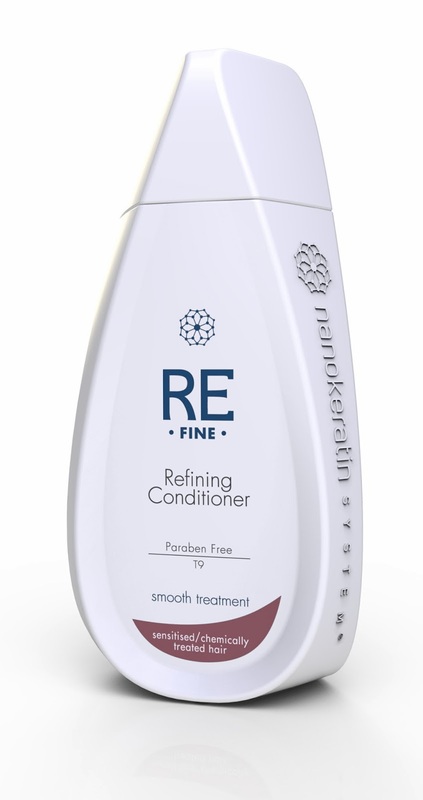 Nanokeratin System is a fairly new haircare brand featuring ranges tailored to suit a variety of hair types and concerns. 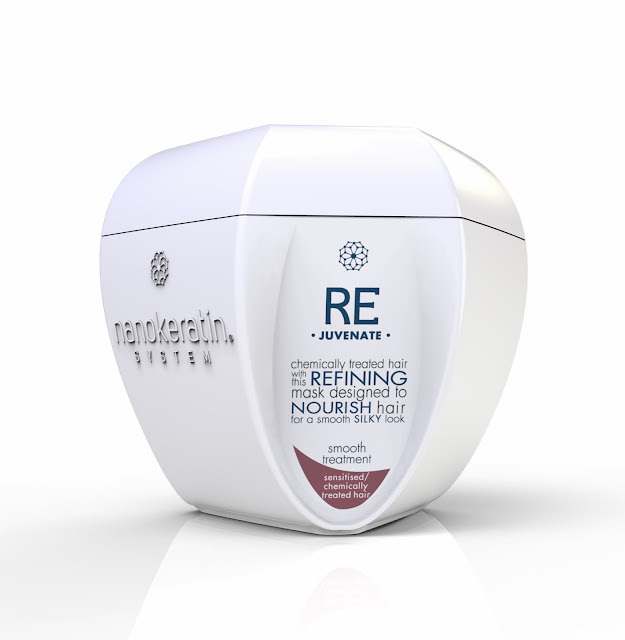 The Nanokeratin System for Sensitised Chemically Treated Hair* is the latest addition to my bathroom cabinet and I've been trying it out to get my hair in peak condition for 2014. 'The International Nanokeratin System Laboratory has created a unique micro size-molecular formula based on particles so minute that millions of them can be gathered onto the tip of a pin. A micro molecule is so small it allows the penetration of the smallest hair shaft to activate the inner hair tissue where they are deposited and locked deep within the damaged hair. There are four different ranges available containing ingredients specific to Natural Hair, Coloured Hair, Sensitised/ Chemically Treated Hair and Normal Hair. After years of dip-dyes, bleach and even a brief (yet passionate)stint as a fiery redhead, my hair definitely falls into the Sensitised Hair category. This particular range includes a shampoo, conditioner and mask specially formulated for chemically treated hair in need of a little TLC. First of all, these products smell amazing. Kind of powdery and very 'clean' and salon-worthy. Which makes sense, because the Nanokerating System range is currently exclusive to salons. 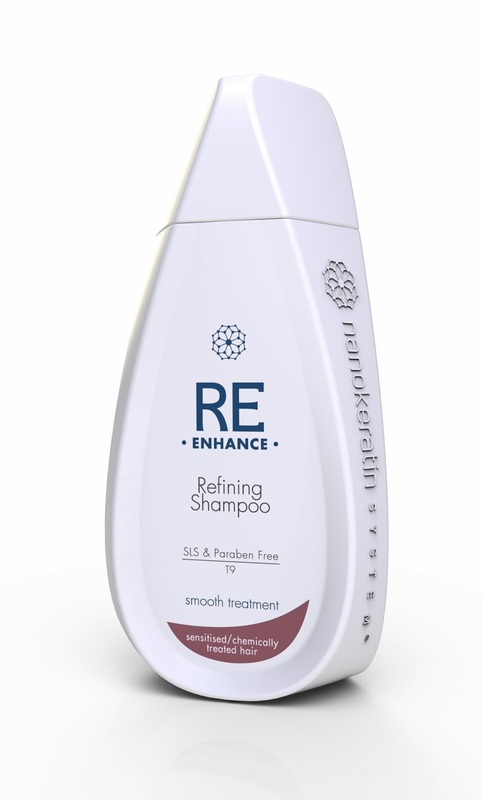 The Re-Enhance Refining Shampoo cleanses while restoring moisture levels to the hair and enhancing highlights. The shampoo does the trick in making my hair feel really clean and clarified yet not 'squeaky clean' and stripped, which is a bonus. Featuring ingredients such as hydrolyzed collagen, pure keratin and silk amino acids, the Re-Fine Refining Conditioner ticks all the boxes I want from a conditioner. It gives my hair the 'triple S effect' - feeling smooth and soft and looking shiny! My favourite product of the three, the Re-Juvenate Smooth Treatment is essentially a mask that you slather on in place of conditioner for a deeply nourishing treat. The tub of purple goo is beautifully hydrating and leaves my hair smelling lovely for a good while after it's dried. Overall, I'm enjoying using the Nanokeratin System and it does make my hair look and feel pretty darn good. As for long term results? I'll have to wait and see, but in the meantime I don't have a bad word to say about these products. The scent, texture and immediate effects of the haircare hit the ball out of the park for me so I have to admit I'm pretty pleased. Intrigued? You can find out more about the Nanokeratin System and find salon stockists (including the fabulous Errol Douglas) at www.nanokeratinsystem.co.uk and visit the Facebook page at www.facebook.com/nanokeratinuk to stay up to date.